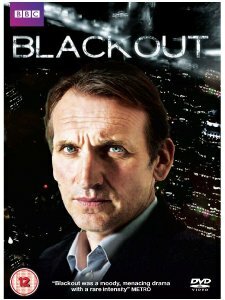 Three part BBC drama Blackout is getting a DVD release this 13th August, and available for download now. Starring Christopher Eccleston, Dervla Kirwan, Ewen Bremner, Andrew Scott, Lyndsey Marshal, Rebecca Callard, MyAnna Buring and Branka Katic. Produced by Red Production Company, the running time for this is about 180 minutes, whilst the recommended retail price will be £20.42. Daniel Demoys is a stranger in his own life. Over the years he has gone from being an idealistic young man with a burning desire to make the world a better place, to a disillusioned and corrupt council official. His alcoholism has driven a wedge between him and wife, Alex, and their three children. The fallout from his alcohol fuelled actions prove agonising for all around him. When Daniel wakes up after another drunken night, he realises that he might be responsible for a murder. A dramatic act of redemption buys him public adoration, so much so that he has become a candidate in the race for Mayor, persuaded by council official Jerry Durrans, and lawyer sister Lucy. The public’s opinion of Daniel as a straight talking everyday hero couldn’t be higher. They are enthralled by his no nonsense determination not to treat the electorate like fools and by his openness about his personal problems and struggle with addiction. As his public star rises ever higher and he tries to repair the damage done to his private life, he is painfully aware that it could all come crashing down at any moment. With Detective Dalien Bevan hot on his trail and determined to gain respect in the force, he could be just the person to do this. With Daniel’s deepening relationships with Bevan’s ex-wife Sylvie, hospital nurse Donna, and the murdered man’s daughter Ruth, he finds himself in even more of a tangled web than he could ever have imagined.